There are a number of things to take into account during a job search. Following these 13 tips will put you ahead of the competition and speed you on your way to landing your new job. 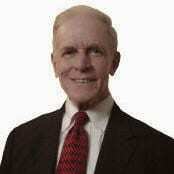 Career management legend John C. Lucht died April 13. Lucht was a virtuoso of savvy strategy and the architect of countless innovative career moves benefiting not only executives and top professionals, but the workforce at large. Once upon a time, an out of work job seeker was starting to develop a case of self-doubt wondering if he would ever get a job. After weeks of searching, spending a great deal of time and effort filling out applications, sending in specific information and waiting, he determined his experience was not what employers wanted. From there, he began to reason that he might need to lower his sights and look for positions below his skill level and compensation just so he could get a job. 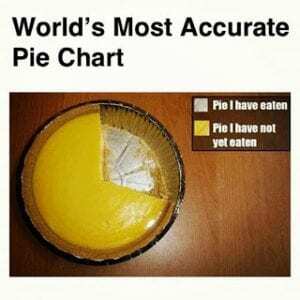 He was so frustrated – just about ready to settle for anything – that he tried something new: He laid out his activities in a pie chart. Within minutes of thinking about where he spent his time and energy, it became clear he was putting most his effort in areas that produced the least results. He was spending 75 percent of his time answering ads, diligently applying everywhere there was a position. The other 25 percent of his time was spent on the No. 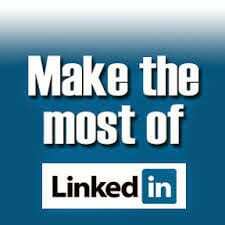 1 way to find a job – Networking. Career Alternatives: Is Self-Employment Right for You? Sitting on the fence in regards to getting another job versus starting a consulting practice can be a difficult decision to make. The key to this decision is to weigh all the pros and cons and determine your original reason why you are thinking about self-employment or working for another company. Fifty isn’t as old as it used to be. The average American today lives 29 years longer today than at the turn of the last century — but those years are being tacked on to middle age, not old age. People today are in better health and are planning to work longer. They have a whole career in front of them. What to do if you still want to keep working? Looking for a job is never an easy task. During these challenging economic times it can be quite an overwhelming process. It’s been my experience that Internet Job Boards do more harm than good to the people they claim to be helping. Internet job postings can be an addictive curse for job seekers by creating a lot of “false hope”. Simply applying to a job online perpetuates the illusion of being busy and productive in your job search, when it’s really not! A well thought out, concise Job Search Marketing Plan (JSMP) is an essential part of your successful job search! It’s a blueprint for your strategy that forces you to focus and direct your job search to ensure that you are covering all methods; keeps you aware of how much work you have to do, and evaluates the quality of your efforts. Your JSMP is a dynamic, action oriented plan that helps you set realistic and meaningful daily, weekly and monthly goals. This plan is critical to your career management and CONDUCTING A PROFESSIONAL JOB SEARCH CAMPAIGN. Spending time with a little baby over the holidays was a fun experience. Here is a photo of a precious seven-month old who offered free lessons regarding skill development. When this baby “grows up”, I hope he doesn’t forget everything he learned as a baby. Perhaps it will keep him on track if ever he should find himself in the midst of a career transition.